What should be kept in mind while travelling? Home > > Travel Tips What should be kept in mind while travelling? If travelling by air, try and take a window seat. Looking out of the window may amuse the toddler and help him pass the time. Putting cotton wool in his ears during take-off and landing helps the child. As a result of pressurization changes during flight, earaches are not uncommon in children, especially during descent. Encouraging children to yawn, chew, or swallow to equalize the pressure in the middle ear. Rail travel is easier and can actually be a lot of fun for the child. Forethought in dressing the child is important. Put him in clothes that are comfortable and easy to remove especially, if he requires a diaper change. Ideally, travel time should coincide with the toddler`s normal sleep schedule whenever possible, as the motion involved in travel may induce sleep and relieve the parent of the responsibilities of constantly entertaining him. Whatever might be the mode of travel it is advisable not to get tense. 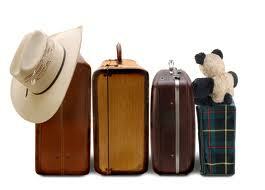 While packing for the trip it may be best to pack different items like medicines, food, sweets in different bags. The child`s toys, clothes, rattles should be packed separately. If the child eats cereals then you should carry along edible foods as well as milk powder and sterilized bottles. It is necessary to carry enough bottles of boiled water to make formula food for him. Extra spoons and towels may come in handy. On reaching the destination, it is necessary to give complete attention to the child before unpacking as the child is bound to be tired. It might be best not to plan too many things for that day as it might be too strenuous for the child. It is necessary to keep an open mind about a sudden change in plans as this will make the holiday more pleasant.